Florida Accidents and Premises Liability: Who is Responsible? Simply put, in Florida the person who is responsible for maintaining a property in safe condition (the controller) is liable if someone is injured due to negligent maintenance. That person could be the property owner, occupier, or tenant. A Florida premises liability lawsuit could name any of those individuals. In a Florida shopping mall, the management company may be responsible for the common areas while the individual store owners must maintain their shops in a safe condition. In Florida, the duty that the controller owes to the person who comes on the premises depends on why the person injured comes. Visitors fall into three groups. A business invitee visits a property for business purposes. If a person comes into a shop to ask if they can put a poster in the window, they might not qualify as a business invitee since their purpose was not to benefit the shop by purchasing anything or even looking at merchandise. Controllers of property owe the highest duty of care to business invitees. They must keep the property in a safe condition and warn invitees of any danger the owner knows or should know about. This includes the duty to regularly inspect the property. If a customer slips in a grocery store, the store must show that employees inspected the aisles regularly to check for foreign substances and that even with careful and frequent inspections they were unable to prevent the accident. People who come to a property for social reasons are called licensees. These are social guests who come at the real or implied invitation of the property owner or occupier. The invitation might be implied, when a friend or relative drops in unexpectedly for example. These kinds of visitors are still considered invited guests. The controller of the property is expected to repair any unsafe conditions or warn an invitee about dangers that exist. Finally, there are trespassers, those who enter a property without permission from the property owner or controller. They may be taking the shortest route to an adjacent property or maybe they intend to steal something. Whatever their purpose, they are all entitled to some degree of protection. The controller of the property must not intentionally or recklessly injure them. If the trespassers are children, however, a different rule applies. Children are curious and aren’t able to judge dangerous situations as adults do. A property’s controller is liable for a child’s injuries if there is anything dangerous on the property and children are known to come or can be expected to come there. An obvious example of a potential hazard to a child is a swimming pool. Others might be an old refrigerator a child could get locked inside, a piece of machinery that children might use to climb on, or a riding mower a child might try to drive. This rule applies only to man-made situations. A controller of the property isn’t responsible for protecting adults or children from natural dangers on the property, like a lake, a river, or rocks or trees someone might try to climb. Florida has a recreational use statute that protects owners from some forms of liability if their property is open as a park or is leased to the state. Florida currently requires auto drivers to carry personal injury protection of at least $10,000 in medical benefits. But critics say that isn’t enough to cover health care costs when there’s an accident. Lawmakers are considering changing up the insurance coverage drivers must have. Edgewater resident Adrienne Gorham was driving with her children in Leesburg in 2015 when she was struck by a speeding driver. Gorham said a Corvette ran a red light and t-boned her car, striking the driver’s side door from the side. She and her daughter were knocked out. 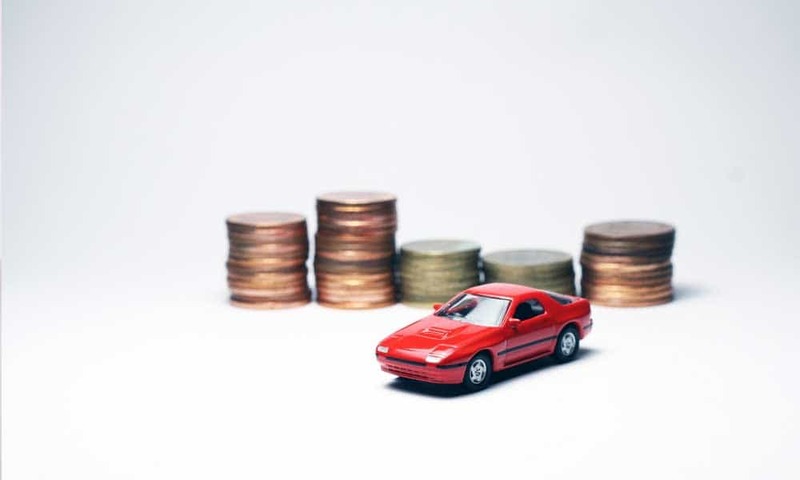 Florida’s Motor Vehicle No-Fault Law, also known Personal Injury Protection or PIP, requires all drivers to carry $10,000 in medical, disability and funeral protection. That’s the case no matter who’s at fault in the accident. Gorham said she’s struggling to pay her family’s medical bills she’s stuck with because the at-fault driver only had the minimum coverage. She said she supports legislation by Rep. Erin Grall to do away with PIP and raise bodily injury coverage to $25,000 a person and $50,000 per incident. Bodily injury would be required before registering a vehicle. But insurance companies and physician groups oppose the legislation. Insurance companies say dumping PIP moves Florida to a system of litigation. Gorham ian’t sue the other driver because of the Florida’s No-Fault Law. But that would change with a mandatory bodily Injury system. “We can bring meaningful value into a system that places fault appropriately on the person who caused the accident,” Grall said. Florida’s PIP law has long been blamed for insurance fraud. It’s been revised several times since 2000 to try to curb “bad faith claims.” But those reforms have also restricted coverage. PIP was created in 1971 as a way to reduce lawsuits over traffic lawsuits. Opponents of the legislation said they can’t support the legislation because it doesn’t protect them from phony legal claims. 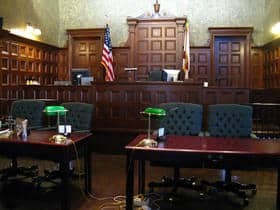 Orlando Attorney Coretta Anthony Smith disputes the charge this opens the door to more fraudulent claims. But she said taking PIP away would hurt low-income Floridians who are injured. She says getting through the court process would take too long. Lawmakers most recently made changes to Florida’s No Fault law in 2012. The aim was to reduce Floridians’ auto premiums and reduce PIP claim amounts. A legislative analysis shows that premiums fell by more than a statewide average of 13 percent as of January 2014. But a 2016 report on the PIP reforms found the savings are eroding. Adrienne Gorham’s family still suffers from the car accident. Gorham has herniated and bulging discs that give her pain every day because of the accident. Her daughter’s face hit the back passenger window and she has trouble breathing out of her nose. Her son suffered hip and spinal injuries. She says she’s hounded by creditors every day on the thousands of dollars in medical bills she owes. She didn’t have medical insurance at the time because she made too much to qualify for Medicaid. Grall’s bill made it out of its first committee, but it still faces an uphill battle. Similar legislation is also filed by Senator Jeff Brandes, Senator Tom Lee and Representative Bill Hager. After an accident in which you were injured—whether a car accident, slip-and-fall or other accident—you may have a personal injury case against the person responsible. In a personal injury case, part of the settlement is for pain and suffering. This term refers not only to physical pain, but to mental anguish, depression, and limits on your ability to engage in or enjoy your normal activities. Pain and suffering has no quantifiable monetary value, so insurance companies try to calculate one. But their values may not line up with your personal experience. Without an objective way to put a dollar value on pain, insurance companies calculate settlement values by multiplying known monetary losses due to the accident, such as medical expenses and lost wages, by a multiplier. They do not publicize how they determine their multipliers but appear to assign larger multipliers to more serious injuries. Different insurance companies may use different multipliers for similar injuries. A serious problem with this method is that not everyone experiences the same injury in the same way. One person may heal quickly, with minimal pain and no setbacks, while another may experience multiple complications, significant pain, and prolonged disability. Because healing can be so variable after an accident, it is important that you not settle too early. If you do, you may get a smaller settlement than you should be entitled to. You are still receiving medical care, in pain, and/or unable to enjoy your life the way you used to. You cannot perform everyday activities, such as caring for yourself and going to work. You face long-term or even permanent inability to return to your previous activities. Your family has also suffered due to your injuries. For example, a spouse or child has had to help you with everyday tasks. If some issues have resolved, emphasize how long they lasted. If it took months or years to get your life back, you deserve a larger settlement than if it only took a few weeks. A personal injury lawyer can help you make this case convincingly. In this type of personal injury case, the plaintiff asserts that a dangerous condition of the property lead to injury, and the property owner/operator should be held responsible. Premise liability refers to a property owner (or property operator’s) potential legal responsibility for injuries sustained as a result of unsafe conditions on on the property. Premise liability cases can exist in nearly every type of structure or open space, and can include accidents involving slips and falls, swimming pools, construction sites, falling equipment, fires, animal and criminal attacks, or inadequate security. In this article, we’ll discuss what makes a viable personal injury case based on premises liability. that the defendant’s negligence was a substantial factor in causing the harm. Let’s look closer at each element. The first thing you must prove is that the defendant owned, occupied, or leased the property. In a good premises liability case, it will be clear that the owner, occupier, or lessee had a duty to inspect the property and to make sure that the property was in reasonably good condition based on its intended use. See Property Owner vs. Occupier Liability for Personal Injury for more on this. The next thing you must prove is that the defendant was negligent in the use of his or her property. Negligence is a legal concept that holds people accountable in civil court for the unintentional harm they cause to others. You must show that the defendant failed to use the standard of care as required by the particular situation. Historically, whether or not a defendant was liable for injuries sustained on that property was dependent upon the status of the person entering the land. More modernly, however, some states have rejected this approach and use principles of ordinary negligence instead, when it comes to proving fault. Liability Based Upon the Status of the Person on the Land. The historical approach used in many jurisdictions to determine the defendant’s standard of care depends upon the status of the person entering the land. There are three basic statuses: invitees, licensees, and trespassers. Invitees. An invitee is someone that enters the land for the financial benefit of the defendant or a person that enters land generally open to the public at large. To invitees, a defendant owes the duty of reasonable care in maintaining the premises. This duty includes an affirmative obligation to make the property reasonably safe for others. Licensees. A licensee is any person who is has the express or implied permission of the defendant to enter the land. Social guests, for example, are licensees. However, if the social guest is asked to leave the property and refuses, he or she becomes a trespasser (see below). To licensees, a defendant must fix or warn of concealed dangers he or she knew about of which the licensee was unaware. Trespassers. A trespasser is someone who unlawfully enters or remains on the land of another. To trespassers, the defendant owes no duty except to refrain from willfully and wantonly harming the trespasser. Liability Based Upon Ordinary Negligence. Many jurisdictions have abolished this “status”-based approach and simply use the reasonable person standard for all entrants onto the land. California was the first state to take such an approach. Under this approach, a defendant has a duty to warn of known and latent dangers which are not known to you and which you could not reasonably discover on your own. This duty extends to dangers which the defendant should have known about if he or she exercised reasonable care. You must show that you were injured. You can do this through your testimony, and the testimony of any treating doctors. You can also provide medical bills and expert testimony with regard to your injuries, the extent of your medical treatment, and how your injuries and ongoing medical care will affect different aspects of your life. Finally, you must show that the defendant’s negligence was a substantial factor in causing your injuries. The harm you suffered must be reasonably foreseeable in light of the defendant’s action (or inaction). And the defendant’s negligence need not be the sole cause of your injury, but it must have materially contributed to your injury. Product liability laws are designed to keep consumers safe from harm by the products they use in their daily lives. Without these strict legal standards, manufacturers and retailers would not be accountable to ensure the things they design, create, and sell are safe for use by the general public. Product liability laws also ensure that the items we purchase work as intended, upholding the promises of their warranties. You might assume the company that created a dangerous or defective product would automatically be held responsible for the injuries that item caused. Surprisingly, that is not always the case. Depending on the laws in your state and the circumstances surrounding the defective item, anyone in the supply chain from the manufacturer to the retailer might be liable for your injuries. In states with a strict liability rule, a consumer injured by a defective product is not required to prove that the retailer was negligent. In other words, a plaintiff in a strict liability state does not have to prove that the seller knew the item in question posed a risk to consumers. Whether the retailer is aware of a defect or recall or not, they may still be required to pay damages caused by a product they sell. Strict liability laws motivate retailers to stay on top of product recalls and do everything in their power to make sure everything they sell is safe – so they can avoid expensive lawsuits and payouts. Other states require consumers harmed by defective products to go further and prove that retailers are negligent before filing a lawsuit. Negligence means that a retailer knew the potential safety risks of a product and sold it regardless. Stores that sell items that have been recalled are considered negligent. Retailers are also considered negligent if they fail to inform consumers of important product usage guidelines or safety information. Some states even require retailers to notify consumers of recalls issued well after a product has been purchased. Again, these product liability laws regarding negligence exist to protect the safety of the general public. When we buy something in a store, we assume it will work the way it is intended to. That promise from the buyer to the seller is presumed and can also be expressed more concretely in the form of a warranty. Written warranties are the most explicit and easy to prove when they are violated. Automobiles, electronics, and appliances usually come with written warranties. When these products do not live up to the quality and safety standards promised, the retailer may be liable for breach of warranty. Warranties can also be implied or spoken, and proving breach of warranty in those cases can be more challenging requiring the assistance of a skilled product liability lawyer. When someone enters your property, they have a reasonable expectation of not getting injured. This means that you, as a property owner (or non-owner resident), are responsible for maintaining a relatively safe environment. This is known as “premises liability.” For example, a courier delivering a package may sue you for injuries if he slips and falls on an oil slick in the driveway. But if that same courier happened to be intoxicated or otherwise acted in an unsafe way, then he may not have a valid claim. The legal theory of premises liability holds property owners and residents liable for accidents and injuries that occur on that property. The kinds of incidents that may result in premises liability claims can range from a slip and fall on a public sidewalk to an injury suffered on an amusement park ride. Liability is determined by the laws and procedures of the state in which the injury occurred. In some states, the court will focus on the status of the injured visitor in determining liability. In other states, the focus will be on the condition of the property and the activities of both the owner and visitor. It is important to remember that an occupier of land, such as an apartment tenant, is treated in the same manner as a landowner in many situations. Legal Status of Visitor: Invitee, Licensee, or Trespasser? In states that focus only on the status of the visitor to the property, there are generally four different labels that may apply: invitee, social guest, licensee, or trespasser. An invitee is someone who is invited onto the property of another, such as a customer in a store. This invitation usually implies that the property owner/possessor has taken reasonable steps to assure the safety of the premises. A licensee enters the property for his own purpose, or as a social guest, and is present at the consent of the owner. A social guest is just that, a welcome visitor to the property. Finally, a trespasser enters without any right whatsoever to do so. In the case of licensees and trespassers, there is no implied promise that reasonable care has been made to assure the safety of the property. In states where consideration is given to the condition of the property and the activities of the owner and visitor, a uniform standard of care is applied to both invitees and licensees. This uniform standard requires the exercise of reasonable care for the safety of the visitor, other than a trespasser. Reasonableness of the owner/possessor’s effort to repair a dangerous condition or warn visitors. With respect to trespassers, if the owner knows that it is likely trespassers will enter the property, he or she may be charged with a duty to give reasonable warning to prevent injury. This requirement applies only with respect to artificial conditions that the owner has created or maintains, and knows may be likely to cause serious injury or death. A landowner’s duty to warn is different with respect to children who are not authorized to be on a property. A property owner/possessor must give a warning if he or she knows (or should know) that children are likely to be on the premises, and that a dangerous condition on the premises is likely to cause serious bodily injury or death. One of the most commonly used limitations on a property owner/possessor’s liability is the argument that the injured person was partially at fault for what happened. A visitor has a duty, in most cases, to exercise reasonable care for his or her own safety. Where that care is not exercised appropriately, the plaintiff’s recovery may be limited or reduced by his or her own negligence. Most states adhere to a “comparative fault” system in personal injury cases, meaning that an injured person’s legal damages will be reduced by a percentage that is equivalent to his or her fault for the incident. So, if it is decided that an injured person was 25% liable for an accident, and the total damages were $10,000, he or she will receive only $7,500. 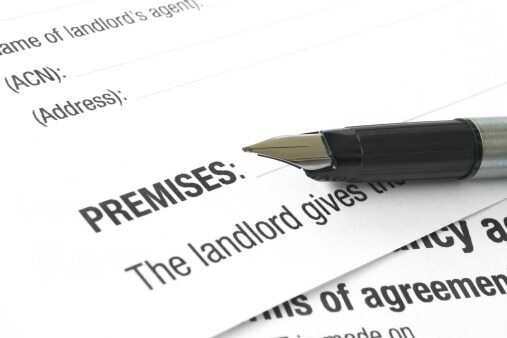 Special rules of liability may apply in cases of lessors (landlords) of property. The general rule holds that a lessor is not liable to a lessee, or anyone else, for physical harm caused by a condition on the property. This general rule is based partially on the lessor’s presumed lack of control over the property once it is leased, but the rule has numerous important exceptions. If you or a loved one has suffered a premises liability injury, you should speak with an experienced attorney to ensure that your legal rights to compensation are fully assessed and protected. The first step is to contact a lawyer for a free analysis of your claim, with absolutely no obligation. 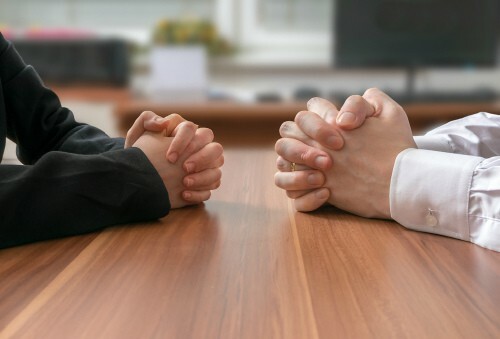 If it is determined that you have a valid claim, many lawyers will work with you on a contingency basis, collecting payment only if you win or settle your case. There are many ways a worker or passerby can be injured by falling objects at a construction site. Liability for the injury depends on the details of the accident. Construction sites are, by their very nature, dangerous. Construction sites are often in the middle of cities, with little separating them from the lives of pedestrians on the surrounding sidewalks. Seemingly minor mistakes at construction sites can lead to major injuries to construction workers and pedestrians. Those injuries often lead to lawsuits against construction companies. In the sections that follow, we will identify some common mistakes that lead to injuries caused by falling objects at construction sites, and discuss what a resulting legal claim might look like. What Kinds of Construction Mistakes Cause Falling Debris? Pedestrians should be kept at a sufficient distance from a construction site so as to prevent injuries from falling objects. Anyone close enough to a construction site to be within the range of falling debris should wear a hard hat. Since all pedestrians casually walking near a construction site cannot be expected to don a hard hat, pedestrians should not be allowed anywhere near zones where debris might fall. At times, people might not realize that construction is occurring and that a risk of falling objects is present. All access points to construction sites should be accompanied by clearly visible signs instructing everyone on the site to don a hard hat. 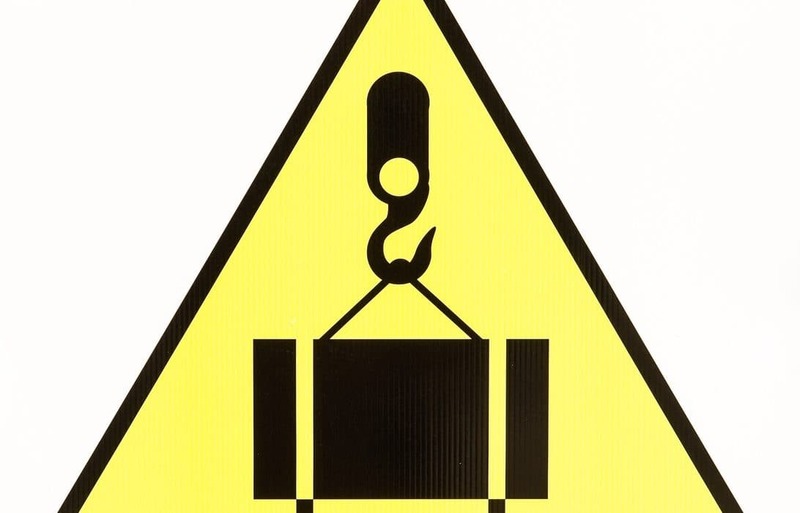 Debris can fall when the hooks, cords and other devices used to secure objects to cranes, hoists and other objects became old and weak. These devices should be inspected regularly for wear and tear. Any equipment that exhibits any flaws should be replaced immediately. Tools are commonly the culprits of falling-object injuries. Because tools must frequently be moved around a construction site, they are often left unsecured. But any time workers are working above an area where people may be walking, all tools should be secured to prevent their falling on other people. Either a construction worker or a pedestrian may be able to sue the construction company for injuries resulting from falling debris. Most injuries to construction workers will be covered by workers compensation, so the rules discussed below will usually only apply to cases brought by pedestrians and other non-employees. that the breach caused harm. Someone is always responsible for the safety of a construction site. The question of who is responsible is often contentious in this type of lawsuit. A general contractor, several subcontractors and an owner may all accuse one another of having ultimate responsibility for safety at the site. Usually, the issue is a matter of contract law. So, the answer will depend on the language of the contracts that were signed among the parties. Another issue that arises is, “what constitutes a ‘safe’ construction site?” This question can become extremely complicated. The short answer is that if an object falls on the head of another person, injuring them, there is probably some condition at the site that could have (and should have) been made more safe. But laws are not that simple. To use the legal parlance, there is a duty to keep the construction site in a reasonably safe condition, based on the level of safety that other reasonable construction companies would exhibit. Different courts interpret that standard differently. Any failure by a construction company to keep a construction site reasonably safe is a breach of the duty discussed above. For example, if a construction company had a duty to keep pedestrians at least 20 yards from a potential landing zone for debris, but the company failed to provide at least that amount of separation, the company breached its duty of care and acted negligently. If the company’s negligence caused harm to a pedestrian, the company might be liable for the harm. loss of normal life (the decreased quality of a person’s life as a result of the injury). It is critical for the injured person to prove that the negligence actually caused the harm. For example, imagine a pedestrian proves in court that a construction company allowed pedestrians to walk too close to falling debris. But the pedestrian was injured when she tripped over a pothole in the sidewalk near the construction site. The pothole was unrelated to the construction. In such a case, the construction company was probably negligent (by allowing pedestrians to walk too close to the site), and the plaintiff suffered harm (injuries associated with tripping over the pot-hole). But the negligence did not actually cause the harm. Thus, the pedestrian would probably not be able to sue the construction company for the injury. One of the most commonly known car-related product flaws is the Toyota gas pedal issue, where certain Toyota vehicles had the gas pedal stick when it was pressed down. This issue resulted in numerous drivers losing control, which caused injury accidents and even fatalities. Toyota was forced to recall more than four million vehicles and eventually reached a settlement of $1.1 billion for consumers who had been injured or harmed by the defect. This particular settlement contained no admission of fault on the part of Toyota. Another car-related product liability issue is the defective Takata airbags, which mostly affected cars built between 2002 and 2008, but also included models through 2014 in some cases. The main issue with the recall is that some airbags can deploy explosively, injuring or even killing car occupations. This issue involved the airbag’s inflator, which is some cases would ignite with explosive force. If the casing ruptured in a crash, there was a possibility that metal shards could be sprayed from the airbag throughout the vehicle’s cabin. The recall included more than 30 million vehicles in the United States made by 10 different vehicle manufacturers. In total, eight fatalities and more than 100 injuries have been linked to the Takata airbags. There have been many manufacturing defects related to the brakes, and they typically include problems with the rotors, drums or pads, which cause the brakes to fail or to not work as intended. Research has shown that cars with Anti-Lock Brake System (ABS) are more likely to be involved in a fatal rollover accident than other types of brakes. Braking systems are extremely complex and can fail for a variety of reasons, whether from improper installation or flaws in the basic design. Brake defects are rarely noticeable until the brakes fail. Tires today are certainly safer than those manufactured decades ago; however, defects can still exist that lead to tread separation and subsequent car crashes. Years ago, there were a number of injuries and deaths attributed to Firestone tires on Ford Explorer vehicles, which led to millions of tires being recalled. Defective tires can fail suddenly, causing a rollover or other serious accidents from loss of control during normal driving conditions. Seat belt latches can fail during a crash, or a seat belt can apply undue force in a particular direction, which leads to secondary impact injuries—and often times, those injuries are worse than the ones suffered from the crash itself. Airbags, meant to protect those inside, can fail to deploy during a crash or can deploy with too much force. In some cases, defective airbags can deploy when no crash has occurred. Fuel tanks can be poorly designed, leading to gas leaks or explosions, and door latches have been known to fail, causing a door to come open during a crash. 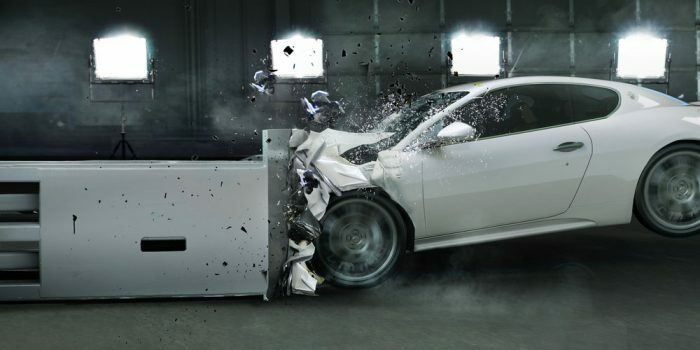 There are basically two types of car defects that can lead to serious injury or death. When the defect is inherent to the design of the part rather than the actual production of the part, then a car design defect has occurred. The court may look into whether the original blueprint of the part in question was unreasonably dangerous and whether it was reasonably foreseeable that the design defect could lead to injury and harm to the occupants of the vehicle. This means that the defect occurred not in the original design, but due to an error made during the manufacturing process. A manufacturing defect case can be more complex because the plaintiff must show that the error in assembly or manufacturing directly contributed to the accident. In many cases, tests must be performed to determine whether the part in question actually had a manufacturing defect. A new federal safety standard has been implemented by the United States Consumer Product Safety Commission (CPSC) to limit injuries to infants when they are held or carried in sling carriers. This standard came about as a consequence of 67 injuries and 17 infant fatalities that have occurred. The CPSC is quick to pay heed to infant and children’s safety issues, and its federal regulation is a prime example of this. Infant sling carriers are used commonly and allow for caregivers and parents to hold their children in upright as well as reclined positions. There are many different styles of slings and materials used. They are typically designed to carry infants and toddlers between 8 and 35lbs. The new standard requires that sling carriers be made in a sturdy manner and go through rigorous testing to ensure that the material does not tear, break or rip. They also must be manufactured in a way that disallows a child from falling out of the carrier during any sort of routine, prescribed use. Lastly, manufacturers must design the slings so that they hold up to three times the maximum recommended weight allotted per use. The CPSC conducted a study that counted all dangerous incidents that had occurred while sling carriers were in use. Because of the various injuries to children, some of which were fatal, the commission deemed it fit create new safety guidelines. It made changes to warning labels and instructional literature required to come along with the products. Infant sling carriers must now come equipped with pictures that show parents and caregivers what a child looks like when in a proper and safe sling position. The product warning has to note that slings pose a suffocation hazard and must also instruct on ways to avoid this. Because falls out of slings caused many injuries, the products must include direct warnings of that possibility, as well as instructions to check rings, snaps, buckles and all other hardware to ensure no part is broken. Infant slings pose a suffocation hazard for two main reasons. The first is that throughout the first few months of life, infants are unable to control their heads and move freely due to undeveloped neck muscles. For this very reason, the commission recommends exercising extreme caution when using a sling with an infant under four months of age. The fabric of a sling can hold the child in a position that causes rapid suffocation. The second reason is that sometimes slings can hold children in curled positions with their chin pointing to their chest. In this position, airflow is limited and suffocation can occur. Checking that the infant has an unrestricted airway and that no material is blocking their nose or mouth. Keeping your child’s chin away from his or her chest. Ensuring that your infant’s face is not in any way covered by the sling, and that you can see them at all times. After nursing, shift the infant’s position so that their head is facing up and not coming into direct contact with their mother’s body or the sling itself. The CPSC’s move to promote infant and child safety is an important and meaningful one. Too many injuries and fatalities have occurred, either because of defective products or because of insufficient warnings, instructions and manufacturing guidelines. With new rules and regulations coming into place and active recalls being pursued, we are hopeful that the commission will continue to strive towards consumer safety. Start here to get a sense of what personal injury means, and what the important elements of a case are. Personal injury law (also known as tort law) allows an injured person to go to civil court and get a legal remedy (damages) for all losses stemming from an accident or other incidents. The purpose of the personal injury system is to allow the injured person to be compensated financially or “made whole” after he or she has suffered harm due to someone else’s carelessness or intentional conduct. 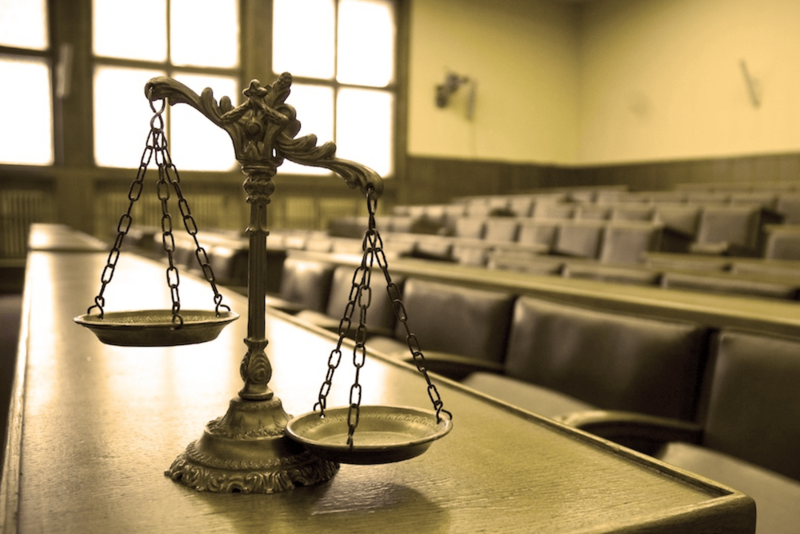 In this article, we’ll cover the basics of personal injury law. Accidents. Personal injury rules apply in situations where someone acts in a negligent manner, and that carelessness causes harm to another person. Examples include car accidents, slip and fall incidents, and medical malpractice, among other types of cases. Many personal injury laws date back to old “common law rules.” Common law refers to a law made by judges, as opposed to laws made by legislatures or passed in bills and statutes. Common law can and does differ from state to state, so the rules for personal injury law may not be uniform across the country. 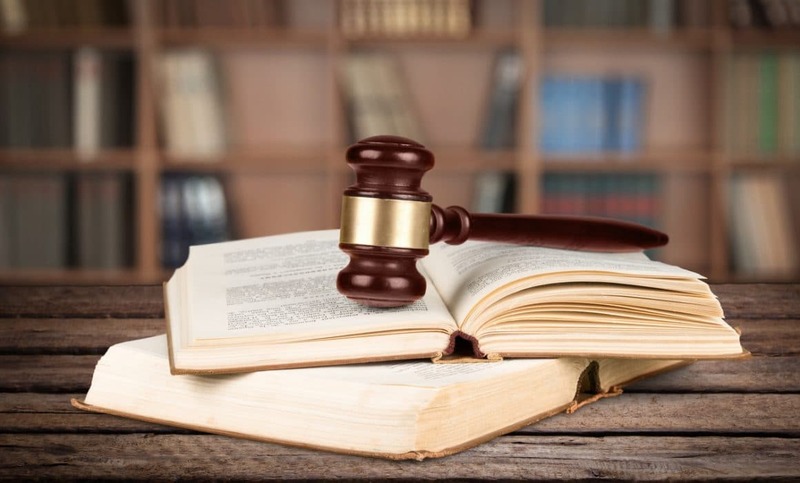 Much of the common law has been collected into something called the Restatement of Torts, which is sort of a guidebook that explains what the rules are, and a lot of states draw guidance from this on personal injury matters. Common law is not the only source of personal injury law. Some legislatures have passed formal legislation or statutory law that touches on personal injury issues. For example, when legislatures passed worker’s compensation laws, they essentially took all cases of work-related injuries outside of the realm of personal injury and made workers’ compensation the exclusive remedy for injured workers (in most cases precluding injury-related lawsuits against employers). Another state law that comes into play in injury cases is the statute of limitations, which sets a limit on the amount of time you have to file an injury-related lawsuit in your state’s civil court system.